Juno’s Kitchen and Delicatessen is in a word: Delicious. This East Sacramento eatery aims to please the lunch crowd from 11:30a to 3:00p Monday through Saturday, and is also open for dinner Thursday through Saturday 5:00p to 8:30p. It's located at 37th and J. 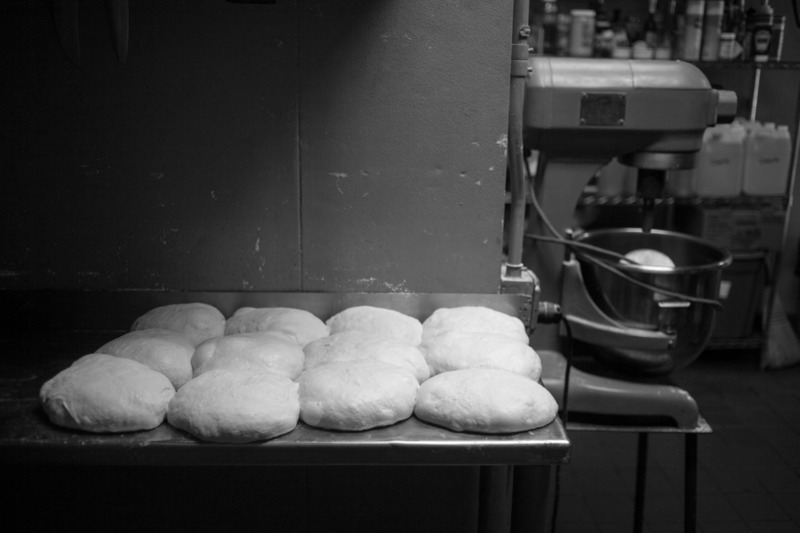 Recently I had a chance to talk to the owner and bread maker, Mark Helms. After having ventured into bread making earlier this year I was excited to talk to him. Of course, Chad Robertson from Tartine in San Francisco came up right away as the benchmark for modern bread making. The challenge here in Sacramento is the climate, with it's changing temperature and humidity as compared to the Mediterranean climate in the Bay Area. Mark is passionate and dedicated. He insists on being the only one that handles the bread saying that if he isn’t making bread they aren’t open. He makes consistently crunchy and tender bread that’s a delight to eat. He could easily order bread--just call it in--but this is the way he is, the way Juno’s is, and it shouldn’t change. Juno’s offers more than just sandwiches. They have salads and a few pasta dishes to round out the menu. On my first visit I tried the Haloumi Sandwich: a hard cheese, pan fried, with lettuce tomato, lemon, olive oil, balsamic vinaigrette, and that... bread. On my second visit I had the shrimp mac and cheese. Creamy cheese sauce, al dente pasta, paprika, bread crumbs, and small shrimp so rich I had to take some home for dinner. It’s a very popular place so make sure to get there early before they run out of bread. Both times I visited, the crew at Juno’s had just taken care of huge lunch time rushes that cleaned them out of bread! Just goes to show how good their food is.